Michigan’s Upper Peninsula is home to many forts, some of which date back to the 1600s. 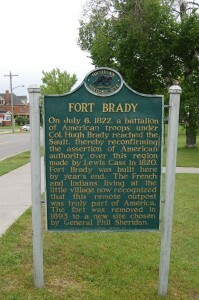 Fort Brady in Sault Ste. 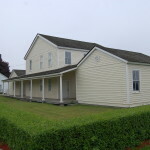 Marie was built in the 1820s, to help protect American interest in the area from British incursions from Canada. 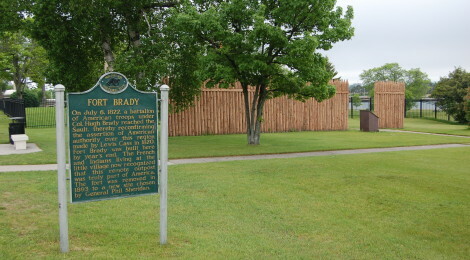 Fort Brady “was built following the typical plan of a frontier fort. 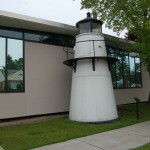 It was surrounded by a picket fence in the shape of a square with two blockhouses placed on diagonal corners. The barracks, hospital, and officers quarters were log buildings surrounding a parade ground.” This fort was located adjacent to the St. Mary’s River from 1822 to 1893, and while nothing remains of the old fort there is a reconstructed wall and several historical markers in place today. 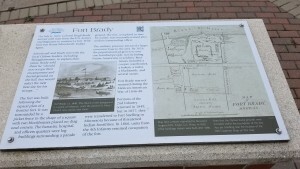 When visiting Michigan’s oldest city, this is a great stop to learn about some of its early residents. 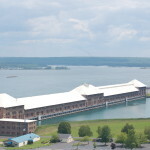 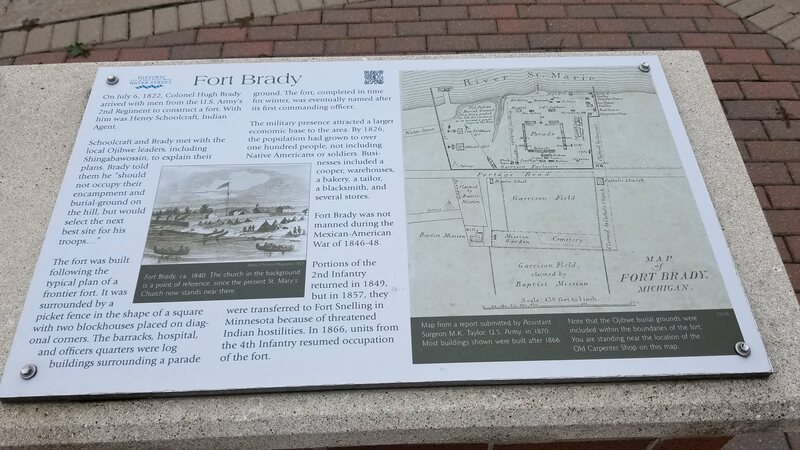 Fort Brady is located on Water St. between Bingham Ave. and Brady St. To the west you’ll find the Soo Locks, and to the east are the Historic Water Street Homes and the Museum Ship Valley Camp. 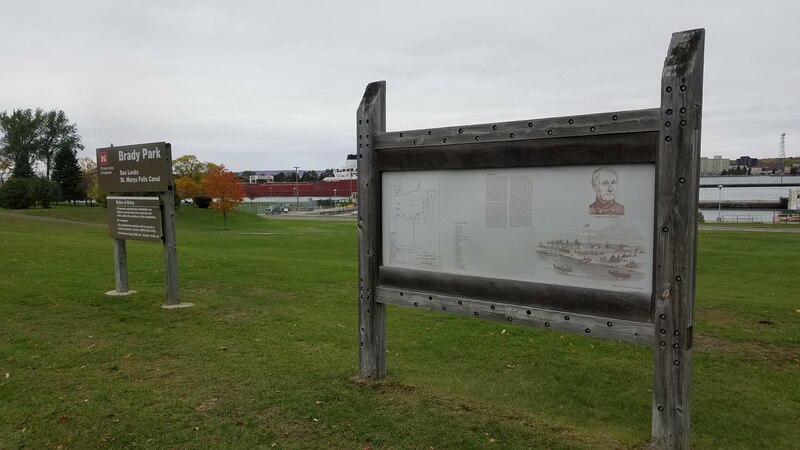 Tags: Chippewa County, Fort Brady, Henry Rowe Schoolcraft, Hugh Brady, Lake Superior State University, Lewis Cass, Sault Ste. 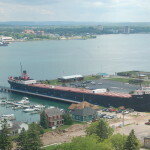 Marie, St. Mary's River, Water St.